Book Launch Tonight, February 10th!!! Nemo Librizzi Benjamin's Silver Cup. 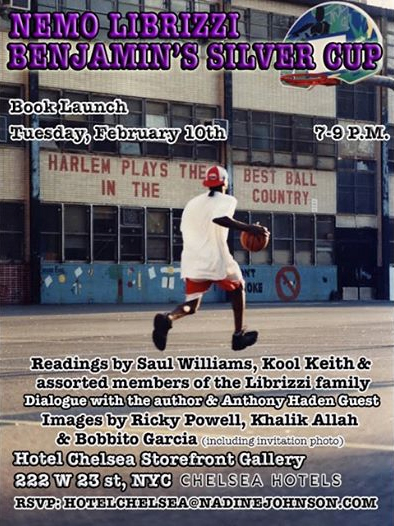 Reading by Saul Williams, Kool Keith & assorted members of the Librizzi family. Dialogue with the author & Anthony Haden Guest. Images by Ricky Powell, Khalik Allah and Bobbito Garcia (including invitation post).